The tragic passing of Tahira Ali Shah is an intimate loss of fisher-folk and especially fisher women of Pakistan and across the world. For us, in the WFFP, we mourn her passing. She will be sorely missed. We would like to express our deepest sympathy to you, Muhammed Ali Shah and your family. “Watch out Ami, lest you fall into water”, cautioned one of the PFF members standing in the boat. “If I succeed in my struggle of water rights of Rivers Indus, I don’t dread falling off the boat and into water, I don’t dread scarifying my life”, replied Tahira Ali Shah who stood in a small wooden boat packed with people during a flower-tossing ceremony organized to pay homage to River Indus on March 8, 2015 at district Thatta. 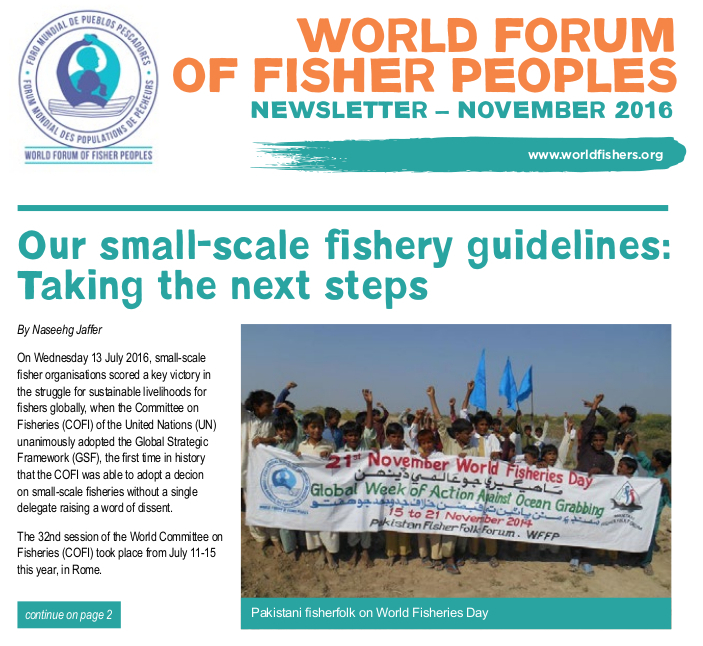 The ceremony was part of 14-Day long campaign of Pakistan Fisherfolk Forum ahead of International Day of Action for Rivers on March 14, 2015. On the very next day, March 09, 2015, Tahira Ali Shah lost her life in a road accident while the car skidded off the road and fell into deep water. She was on way to district Badin for an event of PFF’s 14-Day campaign for protection of Delta & River Indus. Tahira Ali Shah in her early 50s was the wife of Muhammed Ali Shah, Chairperson of the Pakistan Fisherfolk Forum and Co-chairperson of the World Forum of Fisher People (WFFP). One of the founding members of the PFF, she also remained PFF’s senior vice-chairperson. Afterwards, she became the founder of NOORI, an organization working for fishermen’s rights. 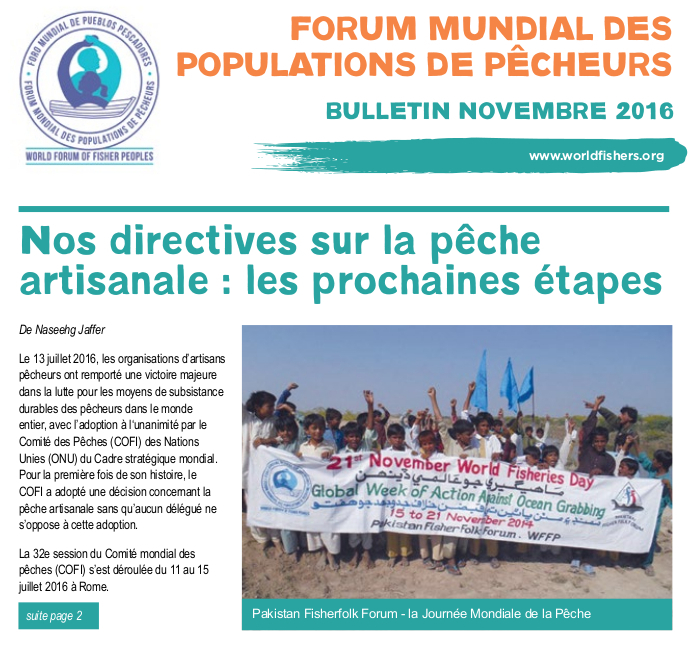 The fisher community along the coastal belt of Sindh and Balochistan in Pakistan is well aware of the leading role she played in different movements, including one against Rangers in Badin, against illegal occupation of Chutyari Lake in Sanghar, long standing issue of detained fishermen of Pakistan and India, struggling for restoration of Indus Delta, protecting mangrove forests in the coastal belt of Sindh, restoration of Keenjhar and Manchar Lakes, campaigning for the rights of peasant communities, campaigning for climate justice, struggling against land grabbing at Gizri Creek, Karachi, Illegal sale of Islands along the coast of Karachi and others. She led the historic People’s Caravan under the Campaign of “Keep Rivers Free” On March 14, 2012, in which PFF launched a year-long campaign for the restoration of River Indus and Indus Delta on the eve of International Rivers Day. Tahira infused the spirit of struggle for their rights in the fishing and peasant communities whose voice was muffled amidst the oppression and denial they faced. Her daring oratory and slogans gave them words that they did not have, the thoughts that were only a figment of their imagination. Tahira Shah gave them the political will that paved way for them in their struggle. She made them come out of their homes, to raise voice about issues that cost them their bread and butter, their sons and the melodies of a free life. 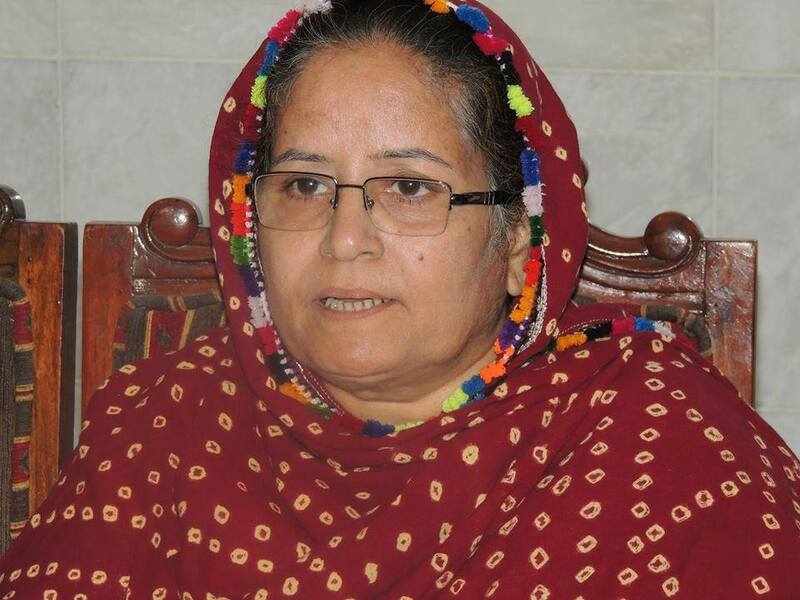 Her struggle for the rights of fishing communities took start in the year 2004 when para-military forces known as Rangers in Pakistan illegally occupied the fresh water bodies in one of the coastal district Badin in Indus deltaic region. The deprived fishermen of Badin approached Pakistan Fisherfolk Forum for helping them in ending illegal occupation of their water bodies since their life was dependent on them. 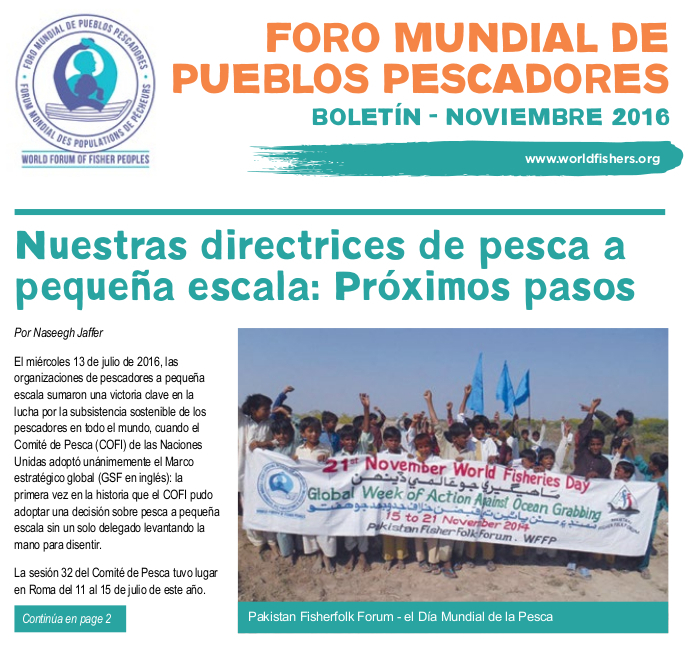 When PFF leadership asked these fishermen to take their women on board for the struggle against the occupation, they denied saying taking their women out of their homes was against their ancestral traditions. They said they were ready to sacrifice their own lives but taking their women out of homes was against their age old traditions. Being a rights activist and mature leader, Tahira Ali Shah understood that they were confined in their mental jails when it came to women. She knew that until and unless she herself took to the streets to demonstrate, these fishermen would not let their females be at the forefront. Tahira then took the initiative of mobilizing and persuading the stubborn men adamantly, and in no time she succeeded in making them believe that letting their women be shoulder to shoulder with them in their struggle against Rangers was the prime need of the hour. The day came when with the massive support of fisherwomen of the region, illegal occupation of fresh water bodies ended and the Rangers finally retreated. Tahira Shah’s struggle in empowering the suppressed fisherwomen became the torch that guided the less privileged in every dark they faced. Tahira became their leader, their love and their torch-bearer. The place where she grew up is a male-dominant society where women are deemed to be nothing more than house-wives. Moreover, she hailed from the SYED family which is prominently known for strict ‘PARDA’ (veil) when it comes to the females. Women of this family background are stringently confined within the premises of their homes. Breaking all such societal and family taboos, Tahira Ali Shah accompanied her Husband Muhammed Ali Shah in every thick and thin during the struggle for water rights. Upon her stepping out of the home for the cause of poor masses, she faced a lot of criticism from her family and relatives. But she remained consistent since she strongly believed that women; especially the one whose voice is suppressed must be prodded into action. Her struggle for the rights of rural women, especially fisherwomen, is incomparable and will always be. Tahira Ali Shah had a sort of unconditional love with roses. Leading the massive crowds amidst her struggle for water rights, whenever she threw rose petals in the flowing water of rivers and lakes, the surroundings would echo with slogans of the crowd around her. The rose petals that fell off her hands were a sight for the sour eyes of the poor fishing communities throughout the country. Her picture with a garland of roses around her neck, the smile and the fragrance of those roses shall always remain a reason behind the struggle for the rights of deprived fishing and peasant communities in every nook and corner where the poor live. The seeds of an untiring struggle for water rights that she has sown, shall surely blossom as buds of bravery and as the flowers of freedom of Rivers. These flowers will then spread a fragrance around. Tahira Shah is a flower and a fragrance too. A flower can stop breathing but the fragrance shall always remain in the firmament. 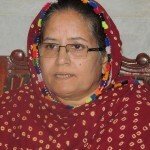 Human rights activists, her friends and fans believe that Tahira Ali Shah is the only MARTYR OF WATER RIGHTS in the world. Her daring struggle for the rights of fishing and peasant communities of the world shall always reverberate in memory. The spirit and soul of Tahira Ali Shah will be with us forever. Tahira Ali Shah was a great Lady ,she struggle for the rights of fisher women and aware fisherfolk to fight for sustainable fisheries policy and its implantation by Govt..